The historic Gold Course at Colonial Williamsburg’s Golden Horseshoe Golf Club remains one of the most respected golf courses in the country, being named again to Golfweek magazine’s list of Best Resort Courses for 2015. The classic 1963 Robert Trent Jones Sr. design is No. 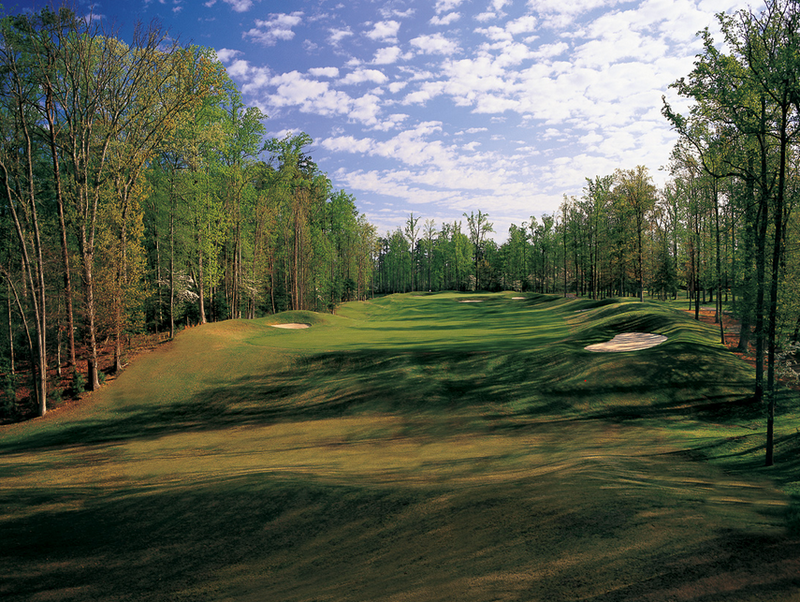 49 on the collection of top 100 resort courses in the country, moving up an impressive 13 spots from the 2014 rankings, and is one of only three Virginia destination golf courses to crack the top 50. Host of the 2007 NCAA Division I Men’s Championship, the Gold Course is one of the best examples of traditional golf course architecture in the world. It is the premier course at the Golden Horseshoe Golf Club, which offers 45 holes of championship golf. The Gold Course, the Green Course and the nine-hole Spotswood Course are designated as Audubon sanctuaries, situated just south of the Colonial Williamsburg Historic Area. Renovated in 1998 by Jones’ son, golf architect Rees Jones, the Gold Course remains faithful to the original design. The project expanded the appeal of the course for higher-handicap players while simultaneously lengthening the course from the back tees to a maximum of 6,817 yards (144 slope). In addition to golf at Golden Horseshoe Golf Club, guests have a choice of more than 1,000 guest rooms among five distinctive hotel properties, from economy to luxury surrounding Colonial Williamsburg’s Revolutionary City. Purchase of Colonial Williamsburg resort services and products supports The Colonial Williamsburg Foundation, the private, not-for-profit center for history and citizenship that preserves and operates the restored 18th-century Revolutionary capital of Virginia. Williamsburg, Va., is located within an hour’s drive of Richmond or Norfolk, 150 miles south of Washington, D.C., just off Interstate 64. More information about the Golden Horseshoe Golf Club and Colonial Williamsburg is available by accessing the website at www.colonialwilliamsburg.com/do/wellness-and-recreation/golf or by calling toll-free 855-296-6627.